Orbitol - Nutrition for your eyes! I had undergone laser procedure for Glaucoma and used the prescribed eye drops following this procedure to help reduce the pressure. I then heard about Orbitol at a Neways Information Meeting. After six months of intensive treatment, I learned my eye pressures had considerably reduced. Over the months of using the e drops in combination with Orbitol, there appeared to be a much more positive reduction in the pressure, much to the delight of my doctor. The original pressure was 33, then dropped gradually down to an acceptable 15 and 17. Presently, the pressure measures 11 to both eyes, stable and comfortable. Orbitol ... it's great for maintaining healthy eyes! I have been using Orbitol since it first became available in South Australia. Prior to using it I had been wearing spectacles for driving since the early 70s, with this indicated on my driving license. Now, I can drive without glasses and can read most of the letters I receive, although I still need to use a magnifying glass to read the telephone directory. Orbitol has to be the best thing since sliced bread! For 17 months I had an ongoing problem with the heel of my left foot. Eventually, I was diagnosed with bone spurs. 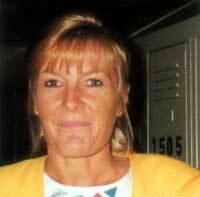 The pain was extreme and for six months I was not able to put my foot to the ground. I decided to do some research on my own and discovered pine bark was recommended for easing the symptoms of spurs. Further research also recommended taking chelated calcium in combination with potassium and magnesium to maximise the absorption of the calcium. You can imagine my delight realising Neways had just such products in Revenol and ChelaMin. Within days I felt results. In seven weeks I was pain free and walking normally. Thank you, Neways, for Revenol and ChelaMin ... they are amazing! I had been walking increasingly bent forward and my right shoulder was pulling down. X-rays revealed extensive deterioration and scoliosis. The worst news was a spur, or 'neophyte', encroaching into the spinal canal. 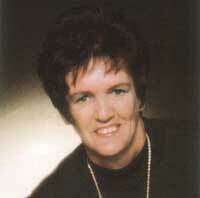 An operation was considered too dangerous and the diagnosis was imminent life in a wheelchair. I was desperate for some hope and turned to herbs and naturopathic remedies. I was advised to take Horsetail herb and balanced calcium/magnesium supplements. We had recently discovered Neways products, taking Feroxin and ChelaMin, later adding Nutrify to the regime for the Horsetail. I started walking 3km a day, forcing myself to walk as straight as possible. 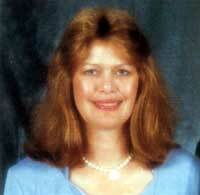 For three months I suffered constant pain causing sleep loss. After six months, it suddenly dawned on me I was doing things I had not done in several years ... touching the floor, carrying loads and walking straight with no pain. The tremendous change in my life outlook has converted me from cynic to outright supporter of Neways and their great products. I had placed a new, white shirt into the washing machine in the evening. Next day, someone put in a maroon T-shirt (wet) on top of it. When I separated the washing I didn't notice, but when I hung my shirt on the line, oh boy! Red stains over the back and smaller ones at the front. I immediately took the wet shirt OFF the line and put it in a small amount of water with a half scoop of NewBrite, soaking it for 18 hours, rinsed the shirt and put it on the line. There was still some staining but nowhere near as marked. I left it on the line in the sun all day. The marks have faded so as to be almost invisible. I was so impressed. Bill took the shirt to the Gold Coast to show at a Home Presentation. The women were astounded because fabric dye just does not come out! The shirt is now quite wearable, whereas before I was thinking about throwing it out. I'm so excited about the results NewBrite is giving. Whites are dazzling and colours are brighter. Our two sons wear white shirts to school each day as part of their uniform. I have never had any problems with collars because the boys shower with Refresh, but the cuffs have caused many a headache! Even soaking in pre-wash and Napisan never helped remove 'boy's playground soil'. In one wash with NewBrite alone we could see a tremendous difference. In fact, it is amazing! Even marks which a leading brand nappy soaker and, dare I say it, a popular chlorine-based liquid bleach have failed to remove, have disappeared after washing in NewBrite. To say the least, I'm impressed. Neways has obviously done it again, another superb product. Thanks Tom! When I was born I was diagnosed as having a condition known as Macroglossia Lymphangioma, which means when a baby is forming some cells wander away from the main body of cells and settle somewhere else. In my case they settled under my tongue. The best way of describing my tongue is it is a half egg in shape, filling the cavity of my mouth totally. It is red raw to look at on a good day, otherwise it's dark purple to black, with no covering on it at all and has very limited movement. When I was born, quite a substantial portion of my tongue was protruding from my mouth, making it impossible for me to close my mouth, let alone suckle. When I was nearly four and a half months old, I was allowed to go home for three days. During this short visit Mum took me to see a doctor, reputed to be the best in Brisbane. On completion of the examination my parents were told, in his opinion, the only course of action was to remove my tongue, leaving me to lead a normal life but I would never speak. Thankfully, they did not take his advice. When I was old enough to have soft drink I had to put sugar in it to kill the acid because it would burn my tongue. I couldn't eat rice, curry, mayonnaise, ginger or salad dressing and apples had to be grated and sprinkled with sugar and covered with milk. I still can't eat toffee, boiled lollies, pizzas with too much spice and crunchy base, curry and liquorice. Also pies and sausage rolls are usually too spicy as is mayonnaise, any kind of mouthwash, pickles and raw carrots, just to name a few! If I got nervous or excited my tongue would bleed, sometimes for hours. When I got a cold it would swell up so much that baby food was the only thing I could eat. The glands under my neck were constantly swollen, sometimes worse than others. At these times I would paint my tongue with Gentian Violet and rinse my mouth out with Hydrogen Peroxide to try and stop the bleeding and constant pain. Approximately 18 months ago a dear friend of mine suggested I visit a naturopath. After several weeks of gentle persuasion and to prove him wrong (natural medicine doesn't work) I went to one. I was put on some multivitamins (Orachel Plus). After taking them for approximately six weeks, I couldn't believe the change in my tongue. This same friend then suggested I try the Neways foundation trio (Revenol, Feroxin and Orachel Plus). Since starting on these I have now become a Neways Distributor, my tongue has now become the same texture and colour as everybody else's. It will never be the same shape but it is gradually getting smaller in width, it no longer bleeds or swells, the glands under my neck have all disappeared and I am gradually eating foods I have never been able to eat before. I will be forever grateful to my friends Don and Lynne and Neways for giving me the quality of life I am now experiencing. If I had not seen it with my own eyes I would never have thought it possible. Once again, thank you, Neways. 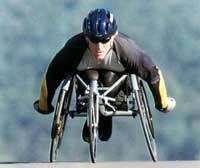 John Maclean made history in 1995 by becoming the first wheelchair athlete to finish the Hawaiian Ironman Triathlon. He is also one of a select few elite athletes in the world to swim the treacherous English	Channel. A former Rugby League player and regular triathlon competitor, John became paralysed below the waist in 1998 after being hit by an eight tonne truck during a training session. He refused to let his paralysis interfere with achieving his goals and believes he can be a role model for young kids in wheel chairs. He wants them to realise they can achieve whatever they set out to do as long as they put their minds to it and focus on their abilities, rather than their dis-abilities. John has been taking Ming VMM, Ming Gold, Revenol, Feroxin, Orachel and Emperor's Formula and is very impressed with the results he is getting. "Neways products definitely make a difference." 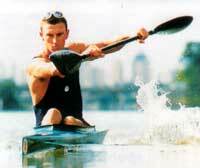 Nathan's kayaking career began in his junior years, competing successfully at both State and National levels. In 1996 he suffered a bout of glandular fever, missing Olympic selection. At his mother's insistence, he consulted a naturopath and started taking Neways Health products (Revenol, Uthinol and Ming Gold). His first race back after his lengthy convalescence changed his way of thinking for good. Since then he has won many titles and become Australia's leading endurance and sprint paddler, ending the seven year reign of former Olympic Gold Medallist, Clint Robinson. This year he has broken his own personal best time by 20 seconds and has qualified for the Sydney 2000 Olympic team. "I am very excited and determined to do well. 1 know 1 am on track and with the help of my Neways products, 1 know 1 will be able to compete at my peak performance." 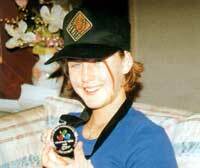 Nicole started competing as a disabled swimmer, classified with an S8 disability, in 1995 at the suggestion of one of her primary school teachers. At the PSAA State Championships, she won a silver medal in the backstroke and came 4th in the freestyle. In 1996 she was selected for the Pacific School Games, picked up six gold medals, and decided swimming was what she really wanted to do. She has since competed at State, National and International level, breaking records and beating people much older than herself. Nicole was selected to compete in the last Paralympics as a level two swimmer, gaining a silver medal in the 100m butterfly, the highlight of her career so far. "I would like to thank Neways for their wonderful product, Ming Gold. 1 feel so much healthier than ever before, I am continually swimming faster times and my recovery rate between races is noticeably faster." 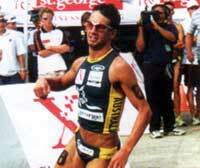 Peter Robertson is a dedicated and successful triathlete. When Peter was introduced to Neways and began taking Ming Gold, he found his performance was greatly increased. He has always set himself high goals and is now seeing them realised as Peter has just been selected for the Sydney 2000 Olympic team. Combined with a healthy, balanced diet, Peter also uses these other wonderful Neways Health Care products with great success: Revenol, Orachel Plus, Ming VMM, Emperor's Formula and Atrimax. "Hard work huge motivation and tough training sessions are all essential elements of my life as I lead up to the Olympic Games (2000). I have been using Neways products now for two years and believe they have been instrumental in improving my performance immensely. I will use them for many more years to come as I am convinced they are the best nutritional products available." I am a 40 year old who has long suffered from pre- and postmenstrual migraine and chronic back and front pains. Usually, to deal with these symptoms, I would live on painkillers and a hot water bottle. As I get older the pains and headaches have been increasing in intensity and lay me up for at least 2 to 3 days. Then I was introduced to a wonderful product called Endau. Within one month of using it I had no pain and the headaches had decreased. Now, after 3 months, I don't dread the 'visitor' (as my gran used to say). It just comes and goes like any other normal day. I am also a happier and healthier person as I no longer live on painkillers. After all the pain and discomfort I have had to deal with over the years I could not believe something so simple as using a cream each day would relieve all of the symptoms I have been enduring. Thank you, Neways, for such a wonderful product and I look forward to using many more. By Raymond Shapcott, Executive, Goodwin Beach, Old. 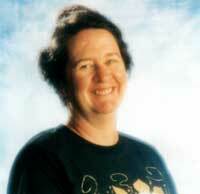 Occupation: Workshop Manager, Australian National University. Sponsored by: Beverley Liddicoat, ACT. 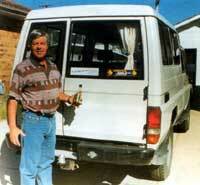 I own and drive a 1986 model Toyota Landcruiser Diesel Troop Carrier which has travelled over 260,000 kilometres. At my last service I gave my Landcruiser the 'Roil Treatment' to the engine, rear differential, gearbox and transfer case. The first difference I noticed was the increase in engine idle speed by 10Orpm as the engine friction had decreased. The second was the quieter and much smoother drive train, the vehicle noise level had decreased dramatically. I was immediately impressed with this outcome. Two weeks later I embarked on my normal two monthly trip to Port Macquarie on the NSW Mid North Coast to visit my parents ... a distance of some 650 kms. For this trip I added a bottle of Roil Diesel Fuel Treatment to a full fuel tank before starring. During this trip, for the first time, I was able to remain in fifth gear on hills I had previously had to shift down to fourth. My overall speed for the trip had increased markedly and the fuel consumption had decreased from 12 Litres/10Okms to 11 Litres/100kms for the whole trip, in both directions. A decrease in fuel consumption of over 8%, remarkable! On a trip to the coast (Batemans Bay) some four weeks later, I still felt the smoothness and effortless driveability of my Landcruiser. As I drove down the Clyde Mountain to the coast I said to myself, "If this vehicle can return up this mountain in third gear, I will write a testimonial to Neways." Previously I had always had to shift down to second gear on two of the hairpin bends. Well, here I am writing the testimonial as my Landcruiser easily came up the mountain in third gear. One further improvement I have found is my vehicle will pull away strongly in second gear from a stationary position on flat ground, or from a rolling start in other situations without any vibration or shudder. This had never happened before the 'Roil Treatment'. Now, I am a total Roil convert and am introducing the miracle of Roil to work colleagues and friends alike. Next I'm moving on to my lawnmower and chainsaw!